The USG engages regularly with the Saudi Government on terrorist financing. The establishment in 2008 of a Treasury attache office presence in Riyadh contributes to robust interaction and information sharing on the issue. 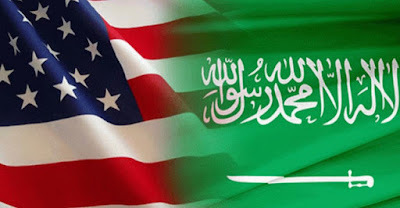 Despite this presence, however, more needs to be done since Saudi Arabia remains a critical financial support base for al-Qa'ida, the Taliban, LeT, and other terrorist groups, including Hamas, which probably raise millions of dollars annually from Saudi sources, often during Hajj and Ramadan. In contrast to its increasingly aggressive efforts to disrupt al-Qa'ida's access to funding from Saudi sources, Riyadh has taken only limited action to disrupt fundraising for the UN 1267-listed Taliban and LeT-groups that are also aligned with al-Qa'ida and focused on undermining stability in Afghanistan and Pakistan. Qatar has adopted a largely passive approach to cooperating with the U.S. against terrorist financing. Qatar's overall level of CT cooperation with the U.S. is considered the worst in the region. Al-Qaida, the Taliban, UN-1267 listed LeT, and other terrorist groups exploit Qatar as a fundraising locale. Although Qatar's security services have the capability to deal with direct threats and occasionally have put that capability to use, they have been hesitant to act against known terrorists out of concern for appearing to be aligned with the U.S. and provoking reprisals. UAE-based donors have provided financial support to a variety of terrorist groups, including al-Qa'ida, the Taliban, LeT and other terrorist groups, including Hamas. Washington agencies note, however, that they have limited information on the identity of Taliban and LeT donors and facilitators in the UAE. Hence there is limited information to be shared with local interlocutors. Nonetheless, the point can be emphasized that the UAE's role as a growing global financial center, coupled with weak regulatory oversight, makes it vulnerable to abuse by terrorist financiers and facilitation networks. Pakistan's intermittent support to terrorist groups and militant organizations threatens to undermine regional security and endanger U.S. national security objectives in Afghanistan and Pakistan. Although Pakistani senior officials have publicly disavowed support for these groups, some officials from the Pakistan's Inter-Services Intelligence Directorate (ISI) continue to maintain ties with a wide array of extremist organizations, in particular the Taliban, LeT and other extremist organizations. These extremist organizations continue to find refuge in Pakistan and exploit Pakistan's extensive network of charities, NGOs, and madrassas. This network of social service institutions readily provides extremist organizations with recruits, funding and infrastructure for planning new attacks. On the international stage, Pakistan has sought to block the UNSCR 1267 listings of Pakistan-based or affiliated terrorists by requesting that China place holds on the nominations. China recently placed a technical hold on the designation of three Pakistan-based or affiliated terrorists nominated by India, although China did not prevent the most recent Pakistan-related U.S. designation nomination in June.